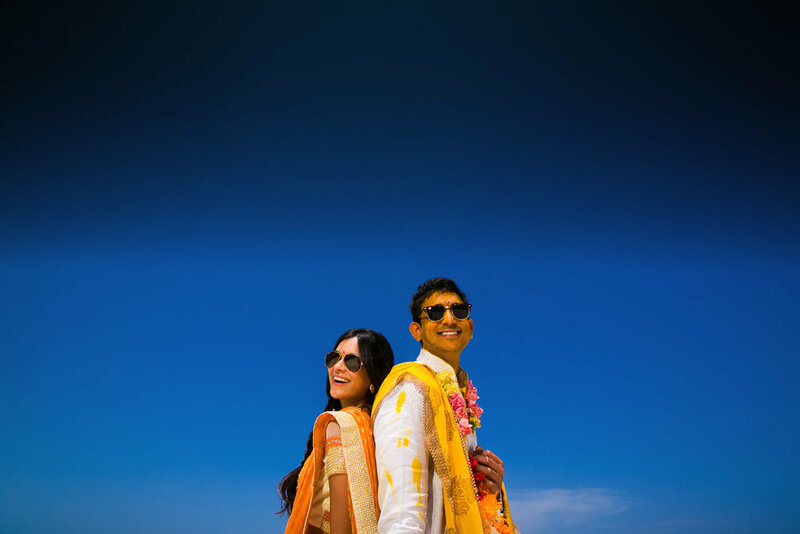 Sohini and Chetans Paradisus Cancun Indian Wedding was a weekend-long affair on the beach in Mexico. 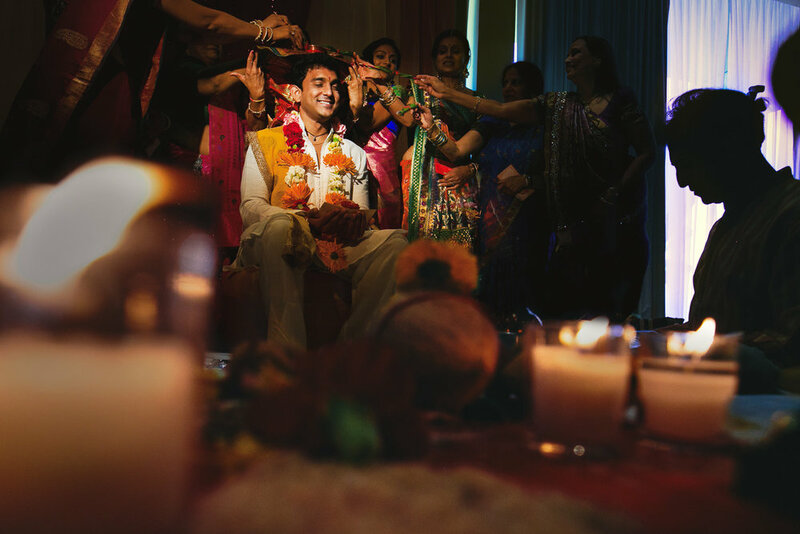 Day one started with a traditional Vidhi ceremony. 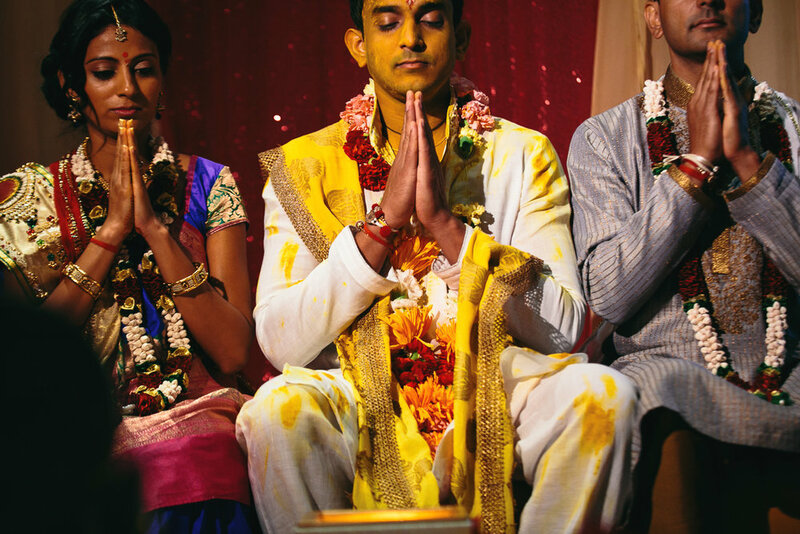 The Vidhi is made up of several ceremonies: Mandva Maturate & Griha Shanti, Pithi and Mameru. 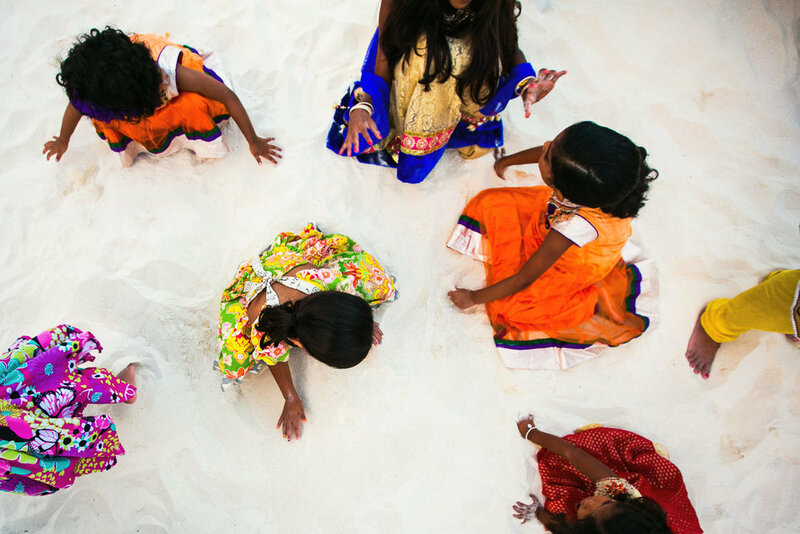 In the Mandva Maturate & Griha Shanti, the parents seek the blessing of Mother Earth by blessing dirt which will be used to build the base of the mandaap, the wedding day structure. 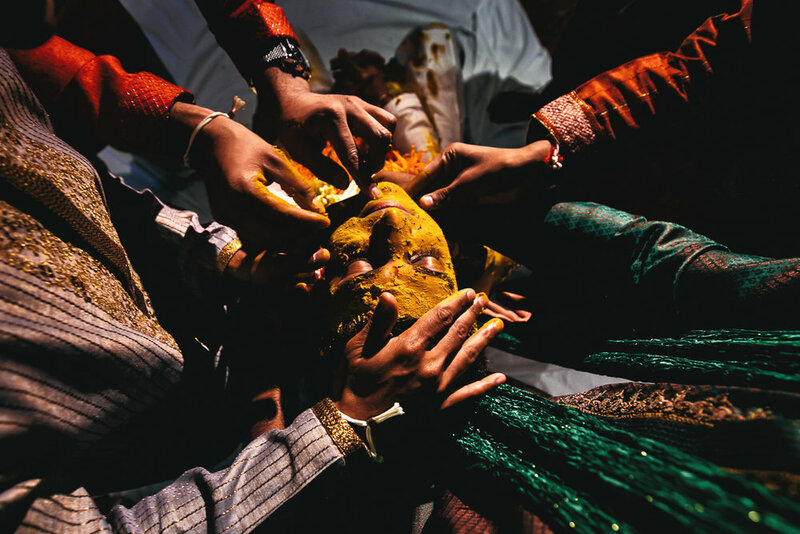 The Pithi is the ceremony where the bride and/or groom are covered in a turmeric paste blessed by the priest. 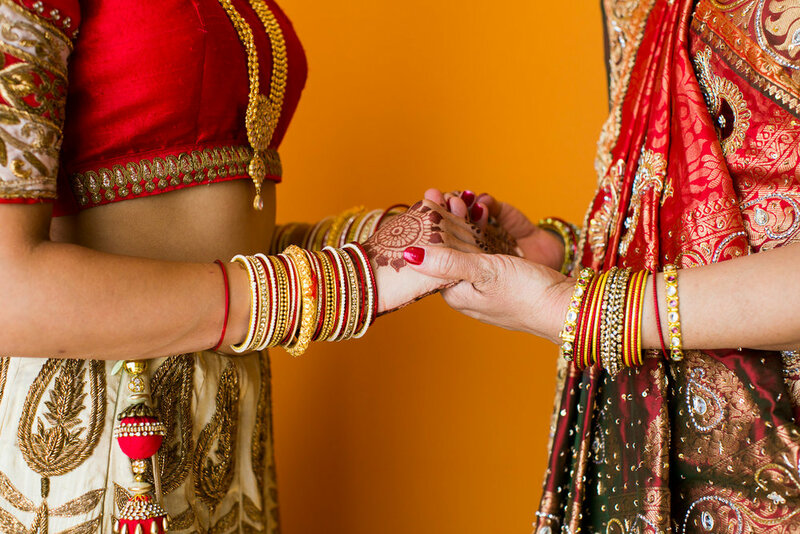 The idea is to purify and bless the bride and groom. 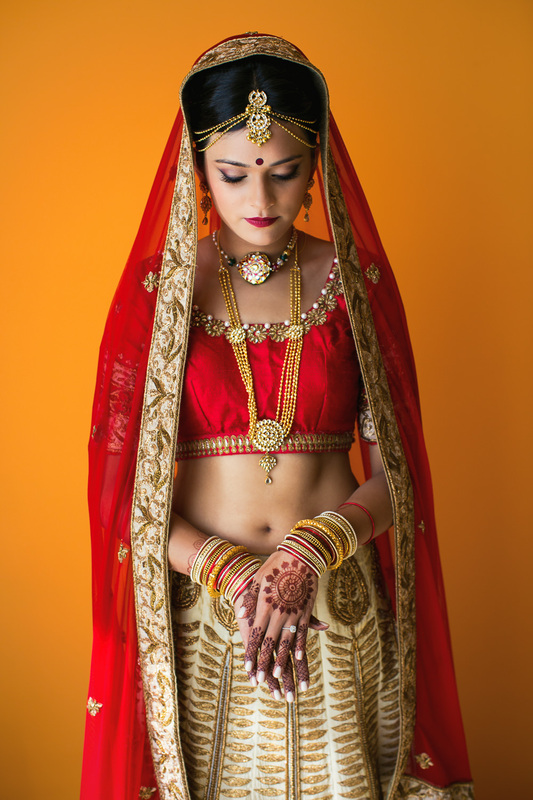 The Mameru is the final ceremony of the Vidhi in which the bride and groom receives traditional gifts. 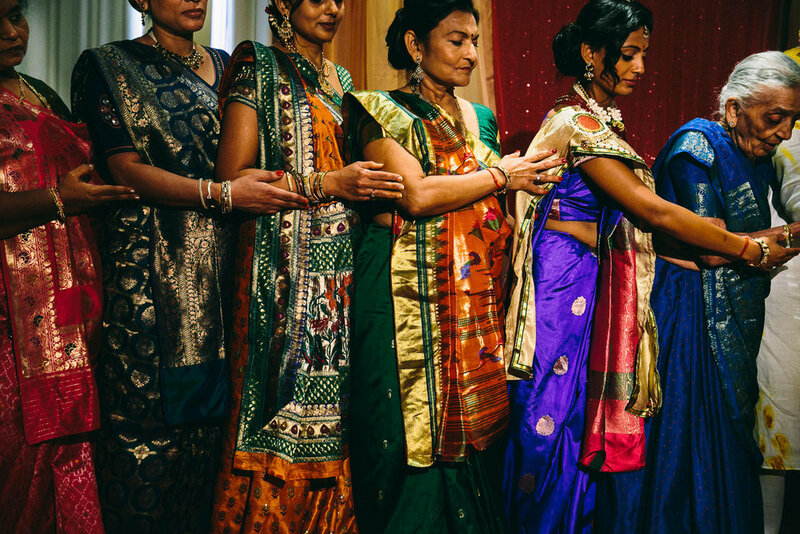 For Sohini and Chet, it was so hot in Cancun, that all of their Vidhi ceremonies were held in the air-conditioned indoors. 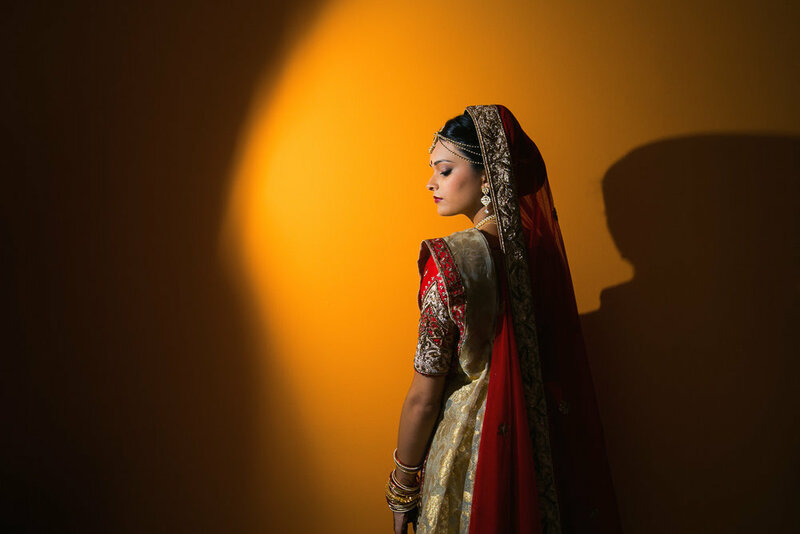 This allowed us to create interesting and dramatic light using our GL-1 Hotlights. 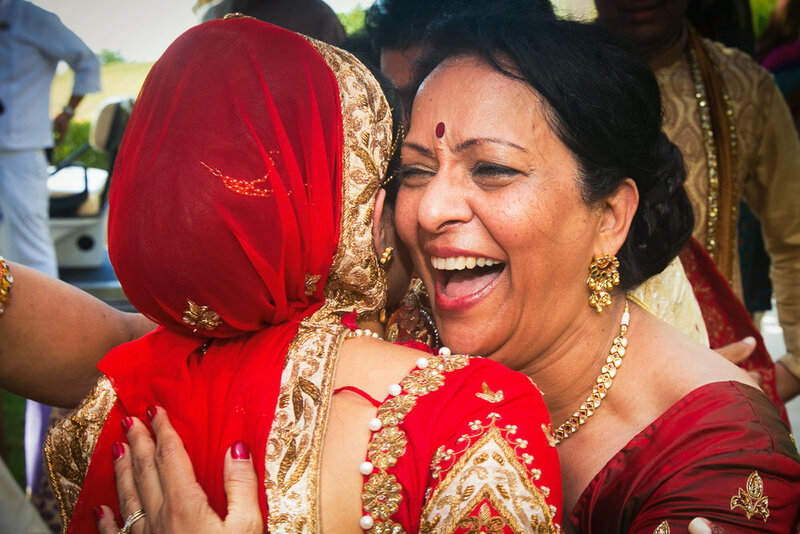 The Vidhi is one of our favorite events to photograph as there are many emotional moments between the family members. When it was all over we all headed out to the ocean to wash off the turmeric paste. 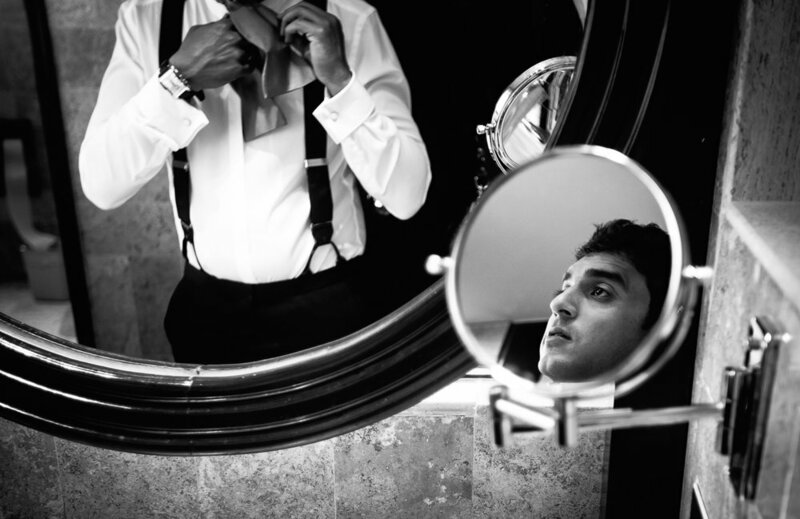 Later that night we joined them again for their Sangeet – a traditional huge party thrown the night before the wedding. 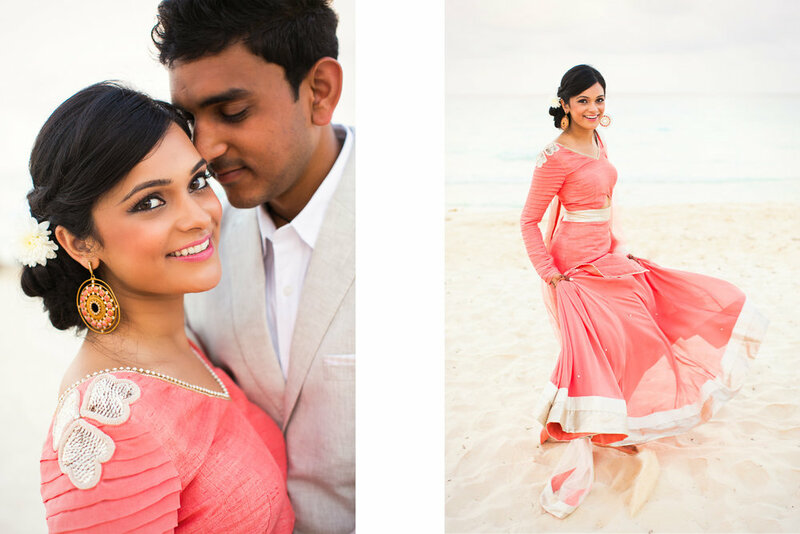 Early the next day, Sohini and Chet were married on the beach in a traditional Hindu ceremony. 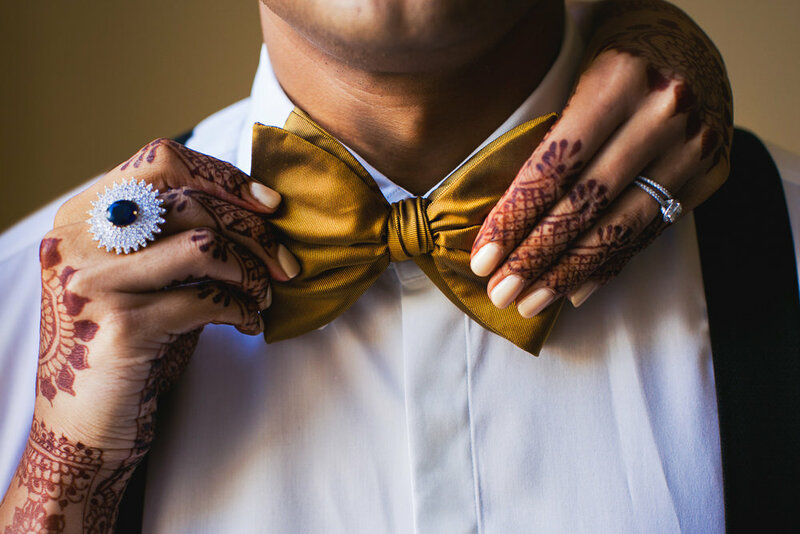 A few hours they had an amazing reception which lasted well into the night. 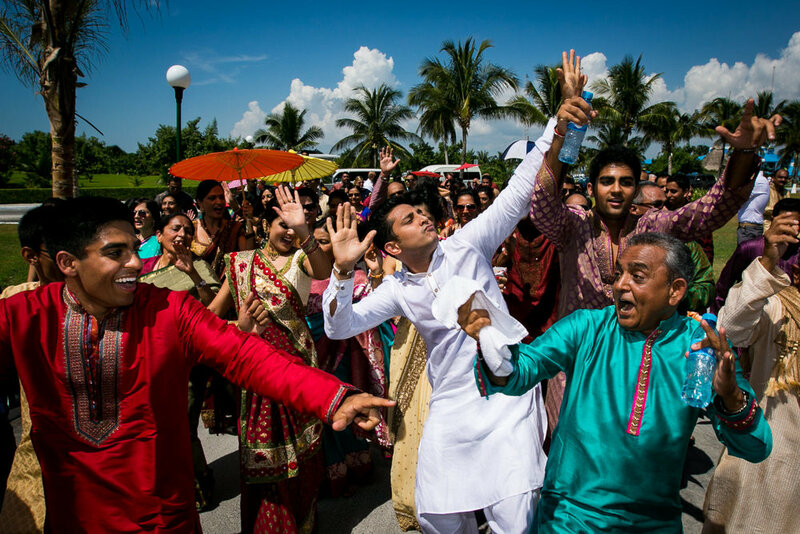 Chetan’s Dad jumped into the arms of his friends during the dancing. It is one of my favorite images to date. 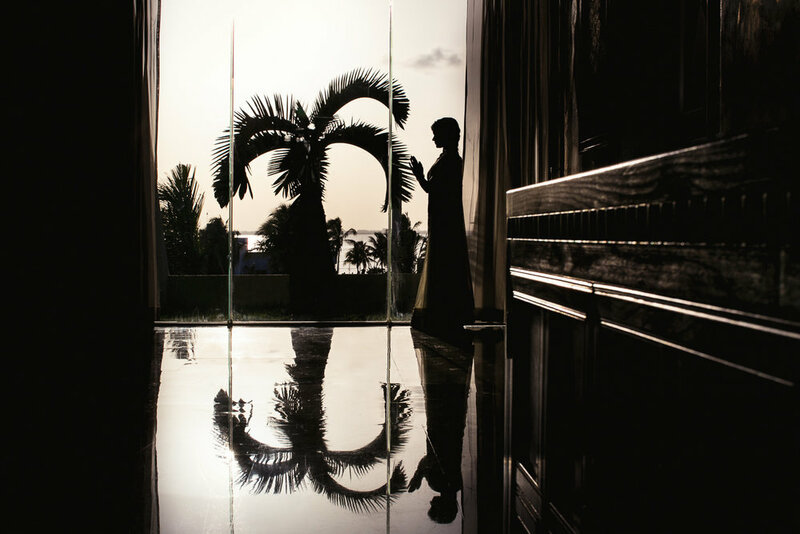 The Paradisus Cancun is an all-inclusive hotel located in Cancun. Located on the Caribbean Sea, Cancun is one of the easternmost points in Mexico. 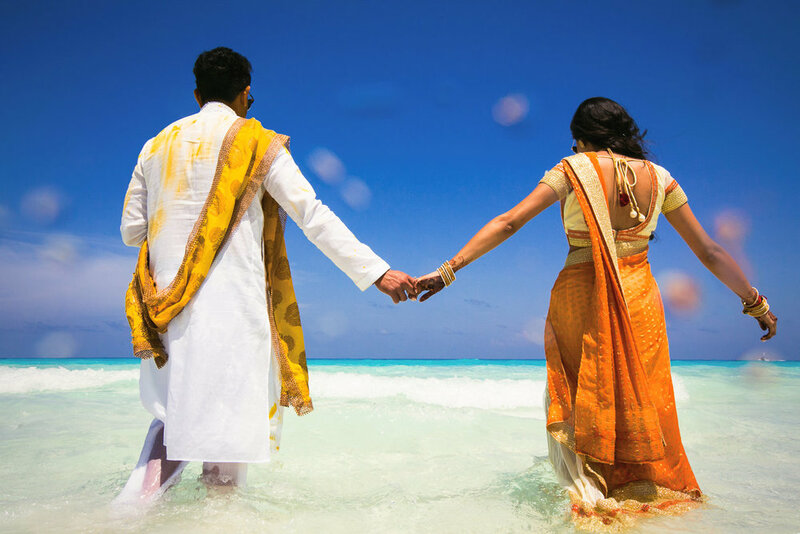 With white sand beaches and aqua blue waters, it is a remarkable spot for a destination wedding. And if you are like Sohini and Chet and are from Florida, its only a 1.5 hour flight.